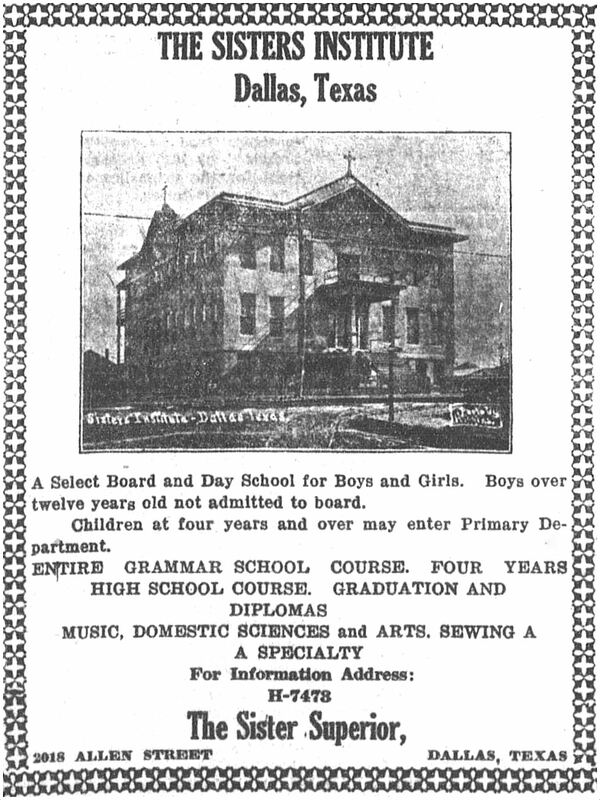 St. Peter’s Academy — which was still around into the late 1980s — was built in 1908, largely due to the urging of black entrepreneur Valentine Jordan and his wife Mary Jordan who were impressed with the education provided to the (white) students attending the Catholic Ursuline Academy; they requested that Bishop E. J. Dunne open a similar school for black children, and Bishop Dunne obliged. Before it was named “St. 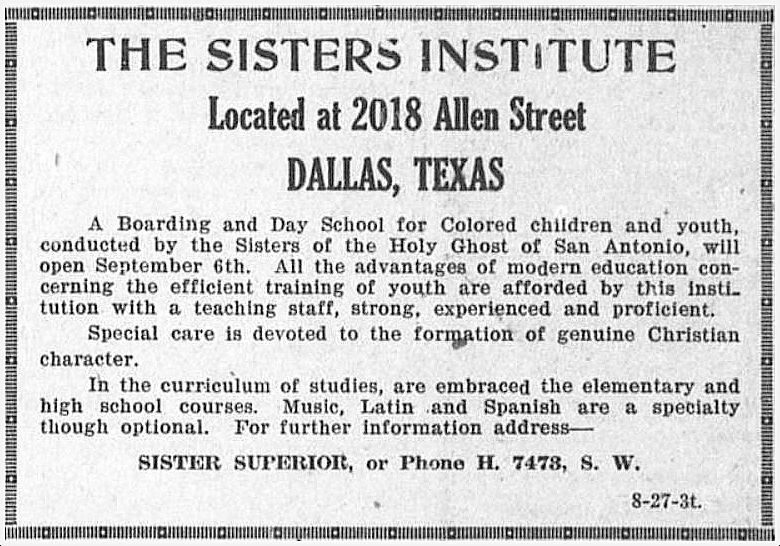 Peter’s Academy,” it was known as The Sisters’ Institute (named for the Sisters of the Holy Ghost). 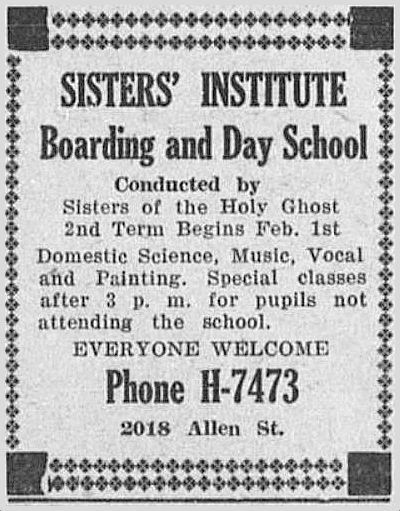 Elementary and high school classes were taught, and boarding options were offered to girls. 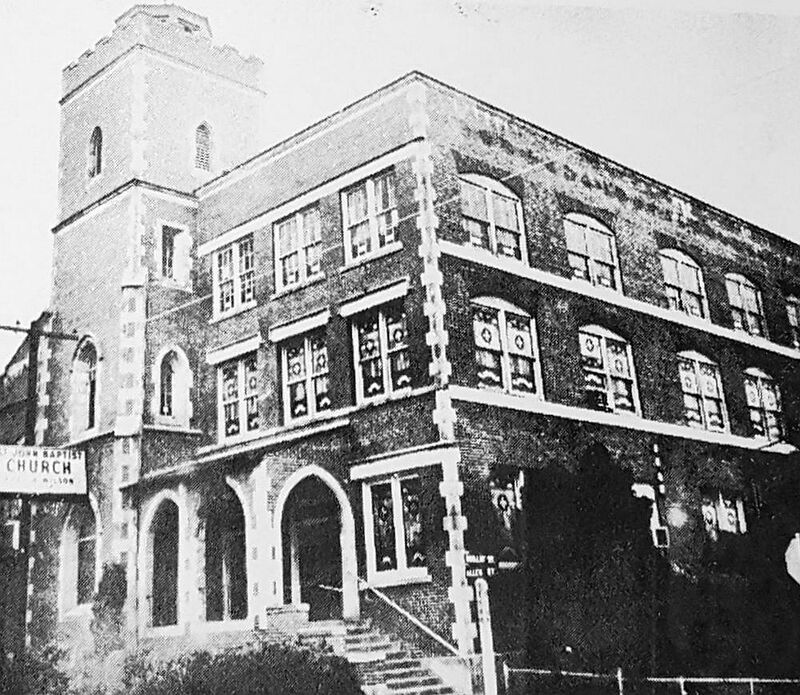 In the mid 1960s the school had 600 (predominantly Protestant) students. 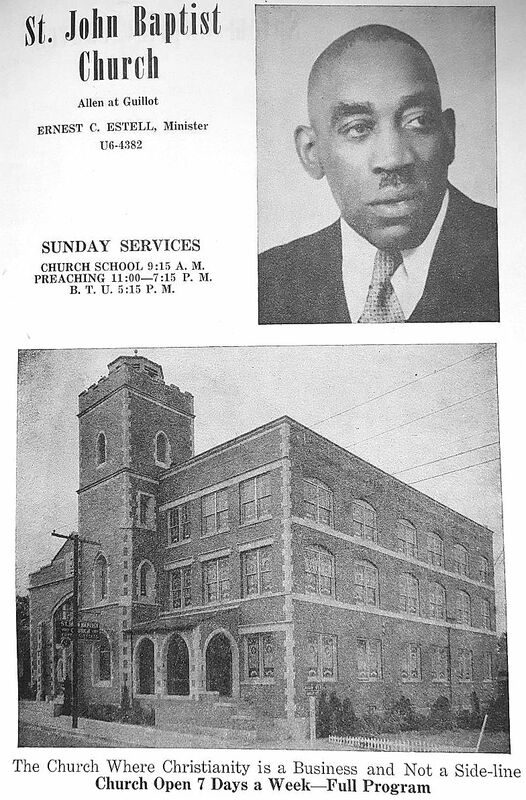 The large St. John Baptist Church was a fixture of the community, led for many years by its pastor Ernest C. Estell. Sadly, these buildings are no longer standing. 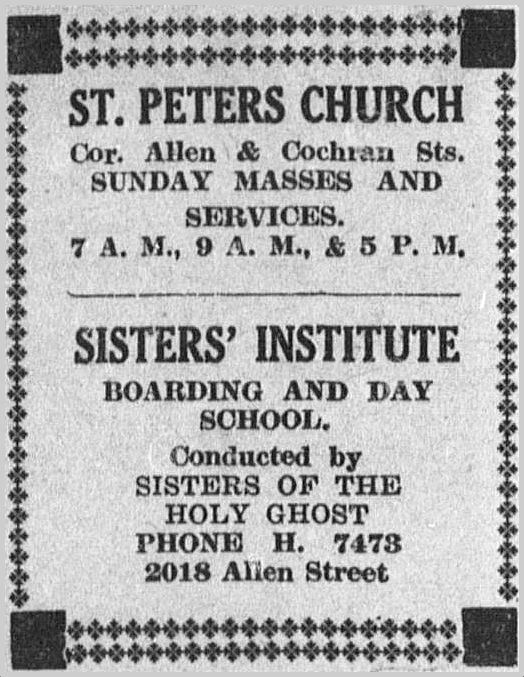 St. Peter the Apostle is located in a new building at Allen and what is now Woodall Rodgers Freeway, and much of their congregation is of Polish ancestry, with services conducted in both Polish and English. 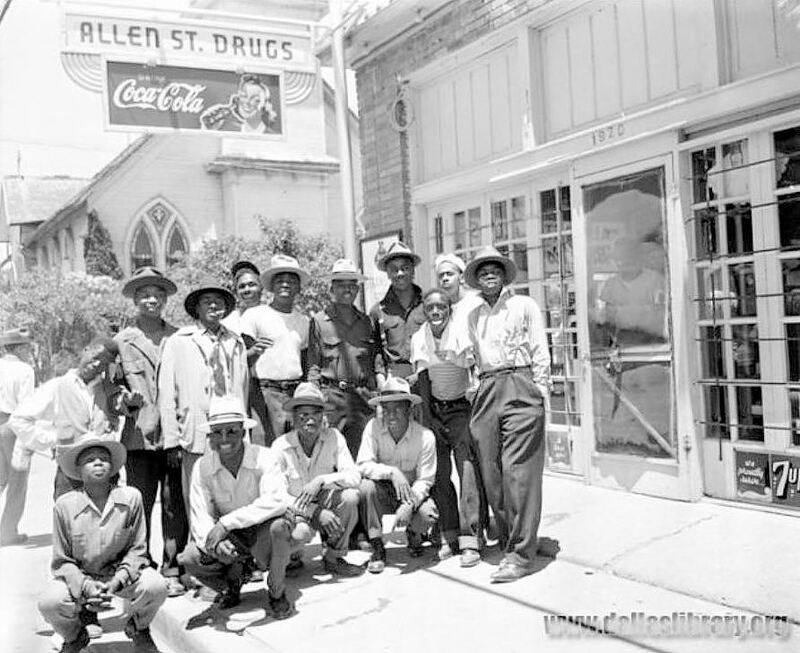 The drugstore seen at the top sat on land razed for construction of Woodall Rodgers. The view today can be seen here. Top photo by Marion Butts, from the Marion Butts: Lens on Dallas Collection, Dallas Public Library. 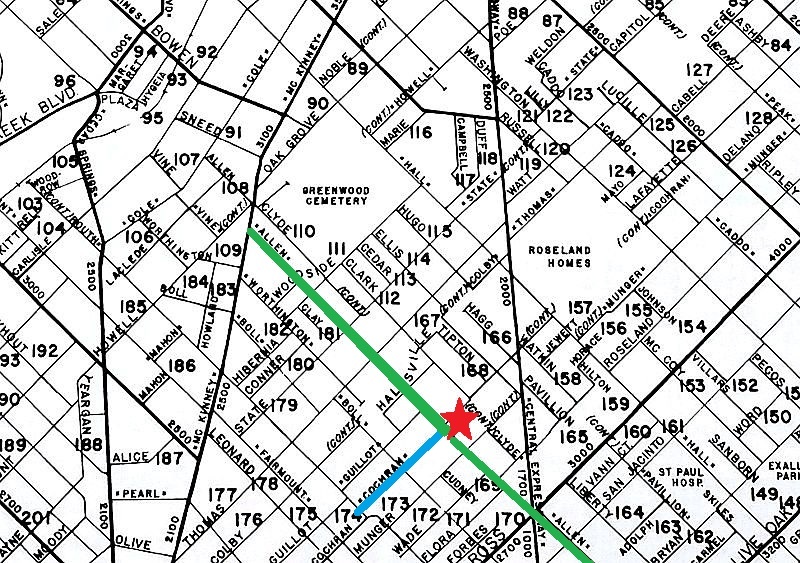 More information on the work of Mr. Butts may be found here. Most images are larger when clicked.